Stadio Angelo Massimino, then still called Stadio Cibali, opened on the 27th of November 1937 with a league match between Catania and Foggia. The oval-shaped stadium initially consisted of two stands on both sides and a one-tiered Curva Nord. It had a capacity of about 20,000 places. 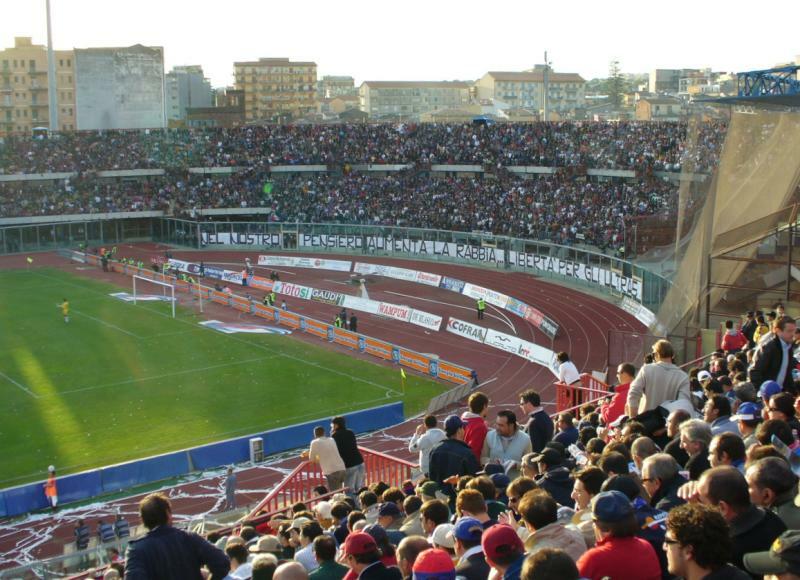 Few changes were made in the following decades and in the 1960s Catania considered building a complete new stadium. Their biggest complaint were the stadium’s poor sightlines due to the running track, but the new stadium never materialised. Stadio Cibali underwent its first redevelopments in 1982, when the Curva Sud was built and increased cover was added to the main stand. The Curva Nord was renovated and expanded in 1987. This raised capacity to about 35,000 places. Stadio Cibali got further renovated in the mid 1990s in preparation for the 1997 Universiade that would be hosted by the province of Sicily. The stadium was renamed in 2002 to Stadio Angelo Massimino in honour of a former club president. In recent years, capacity has been significantly reduced due to safety measures. 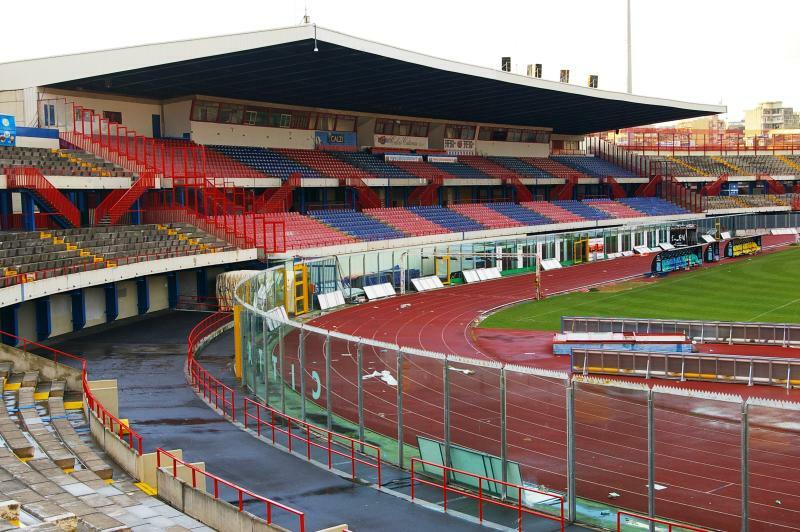 Catania have recently expressed the desire to build a new stadium, but plans are still in the initial stages. 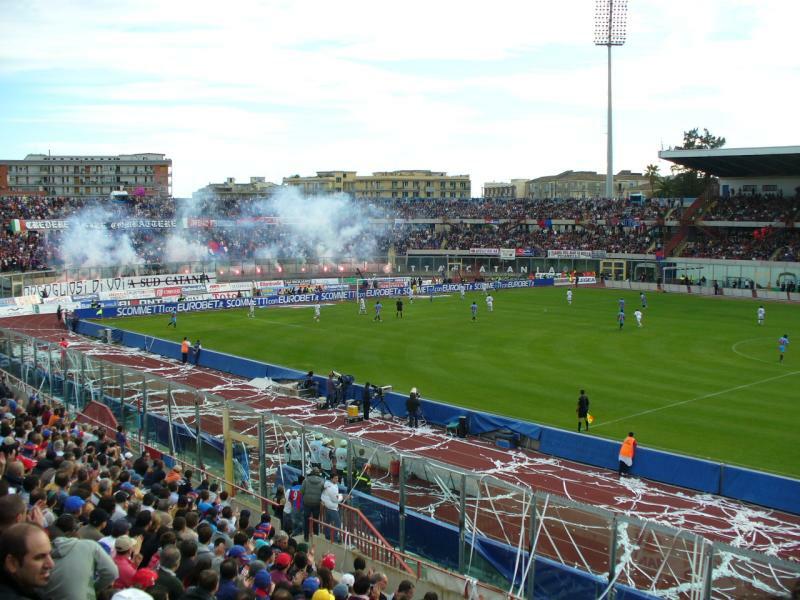 Stadio Angelo Massimino is located north-west of Catania’s historic city centreat about 2 kilometres from Piazza Duomo, but less than 1.5 kilometres from the more northern Piazza Stesicoro. Walking to the stadium will likely not take more than 30 minutes. The stadium lies in a dense urban neighbourhood and may be difficult to locate by car. If coming from the A18 north, take the exit for Catania (Centro). Follow the road into town for about 4 kilometres, and continue straight after the second tunnel onto the Via Vincenzo Giuffrida. After about a kilometre turn right onto the Via Gabriele D’Annunzio. Follow for almost 2 kilometres and turn right into the Via Giussepe Fava. The stadium lies in front of you. If using public transport, one can catch bus 4-7 from the central rail station. Get off at Piazza Spedini. The bus can also be boarded at Piazza Stesicoro. Buses only run once every hour. Line 431N is an alternative that goes more regularly (at least every half an hour). Get off at the corner of Via Cifali and Via Beccario. From there it is a few minutes walking. The bus passes also through the historic centre (Via Vitt. Emanuele). Stadio Angelo Massimino is located in a dense urban area, which means that there are some typical Italian local bars and restaurants around, though overall it is not a particularly attractive area and there is not much reason to head to the stadium much in advance of the match. There is one hotel at short walking distance of Stadio Angelo Massimino, which is the modest Casa Tina Maugeri. Slightly further away, but still comfortably at walking distance are the well-rated B&B Maccalè, Best Western Mediterraneo, and Liberty Hotel. 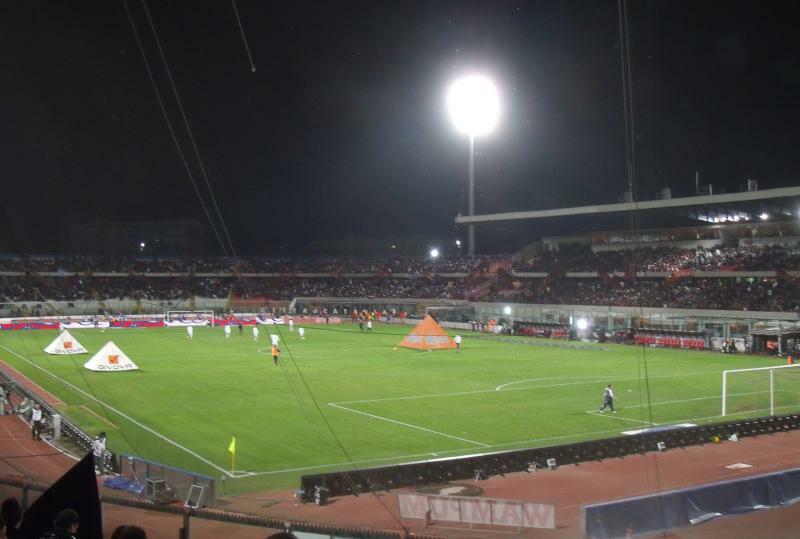 Click here for an overview of hotels near Stadio Angelo Massimino and here to explore other options in Catania. Tickets for Catania matches can be bought at the Lottomatica sales outlets. The one at the Via Plebiscito 8 is the closest to the city centre (a few blocks south of Duomo), whereas the one at the Via Giuseppe Fava 69 the closest to Stadio Angelo Massimino. Tickets can also be bought on the gate on the day of the match. 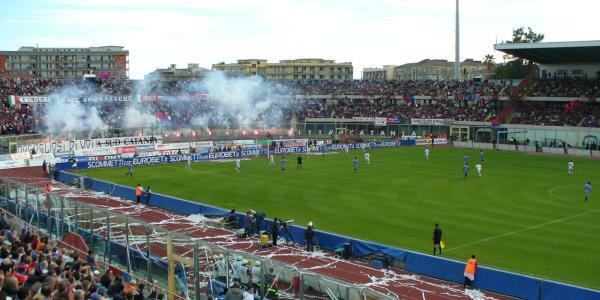 Catania only occasionally sell out a high-profile match. Catania have divided their home matches into three pricing categories. Tickets for a category C match, the cheapest, start at €15.00 for one of the curves and range between €30.00 and €120.00 for a seat at one of the long sides. Ticket prices for a category A match, the most expensive, range from €30.00 to €180.00. Cataniacalcio.it – Official website of Catania Calcio. Apt.catania.it – Tourism website for the province of Catania. Amt.ct.it – Catania public transport information.